The Museum is open to everyone and the exhibits proudly reflect the lives of women everywhere -- not just Montana. It is a museum of all ages, for all ages. Exhibits feature women from all walks of life, all professions, all ethnic groups and perspectives locally and internationally. Admission is free and donations are gratefully accepted. 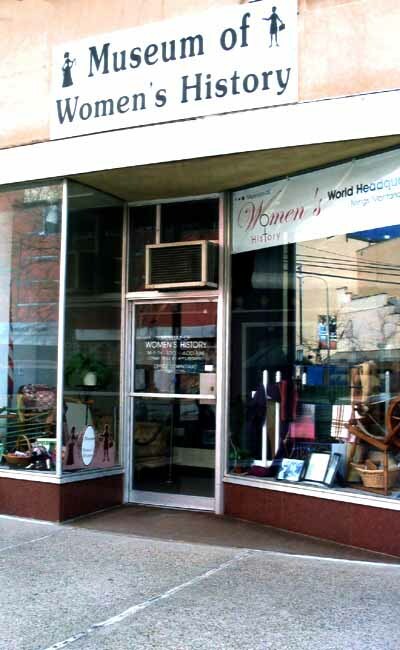 The Museum of Women's History was founded in May 1995 at Montana State University-Billings by Dorothy McLaughlin with the support of Chancellor Ronald Sexton. The Museum's first location was in the basement of McMullen Hall at Montana State University-Billings. The Museum quickly outgrew its space at the University and moved to the present downtown Billings location where it now has more room for exhibits, archives and artifacts. There is also a research library and Museum office. The museum is located on 2824 Third Avenue North and 2822 Third Avenue North in downtown Billings.The museum is located on 2824 Third Avenue North and 2822 Third Avenue North in downtown Billings.